In 2014, the Patient Protection and Affordable Care Act (PPACA) will require companies who employ more than 50 full-time equivalent employees to make a choice regarding health insurance coverage. Business owners have several options: to provide health insurance coverage, send employees to an Exchange and pay a penalty of $2,000 per employee per year (excluding the first 30 employees if at least one employee goes to an Exchange and receives subsidized coverage) or develop a new hybrid health insurance plan. Employers who elect to provide health insurance for its employees will be subject to a $3,000 penalty for any employee who finds the employer’s coverage unaffordable and receives an Exchange subsidy. “Affordable coverage” is defined as an employee’s “self-only” premium that exceeds 9.5% of the employee’s wages. Integral to this reform, is the creation of state, regional and federal healthcare Exchanges, where individuals can purchase a variety of affordable health insurance plans and, if they fall within certain income levels, will receive government-subsidized premiums. As of the end of July 2012, the North Dakota Legislature has not decided to move forward with a state-run Exchange. If North Dakota decides not to operate an Exchange, individuals and small businesses in the state will be able to go to the Federal Exchange for coverage. More than one thousand employers in North Dakota will have to make a decision prior to 2014. 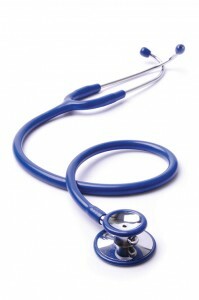 The healthcare reform law gives business owners more health insurance options than ever before. However, in order to make the best decision for your business, it is important to consider how your decision will impact your employees, as well as to predict how many of your employees would be eligible for the small and large subsidies offered through an Exchange. This can be complicated. Eide Bailly, a CPA and business advisory firm, envisioned the dilemma businesses would face and developed a service to help employers understand their options when making this important decision. This Employer Health Reform Analytics service helps business owners quickly and efficiently analyze their options, and provide them with facts and figures to help them decide what option may be best for their company. This service utilizes a proprietary calculator that analyzes a business’s current healthcare plan costs and projects them forward to 2014. It also compares what the cost would be to pay the penalty and send employees to a health insurance Exchange in 2014. At the same time, it identifies how many employees would be eligible for an Exchange subsidy. Who Will See the Greatest Financial Difference? In one case, for a non-profit organization, the numbers indicated a potential 40% savings for the organization by sending employees to an Exchange, while increasing salaries to cover employees’ costs for those who are not subsidy-eligible. Because of the perceived cost-savings of dropping coverage, it can be tempting for organizations to simply opt for the penalty – without taking the time to determine if, indeed, this is the best business move. It is critical for a business owner to consider all aspects of their situation in order to make an informed decision that is in the best interest of their company and their employees. The PPACA will change how healthcare coverage is perceived and provided in the United States. As healthcare reform approaches, now is the time to become aware of the options, responsibilities and potential impact this will have on businesses and employees. By analyzing all available information, business owners can be prepared to make an informed business decision prior to Jan. 1, 2014.